Commercial logging has played a major role in the reduction of forested land in the Philippines from roughly 95% of the total land surface 500 years ago to the current level of 6-8% old-growth and roughly 12-15% second growth. 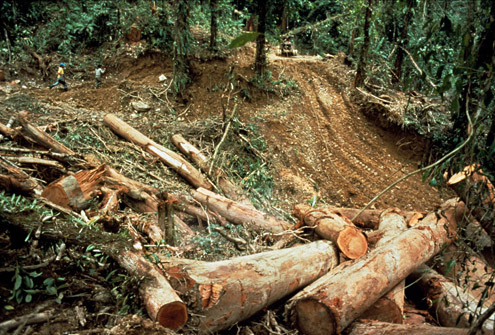 Logging can be conducted sustainably, but all too often it has been poorly managed in the Philippines. 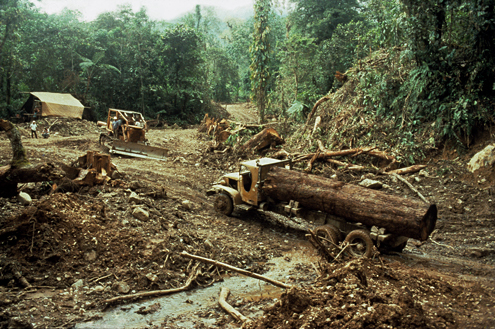 Much of the logging has been done on steep slopes, causing extensive damage to watersheds and leaving mountainsides exposed to heavy rains and the resultant flooding and erosion. Little forest is now left in the Philippines that is extensive enough to support large-scale logging activities, especially in former lowland forest areas. 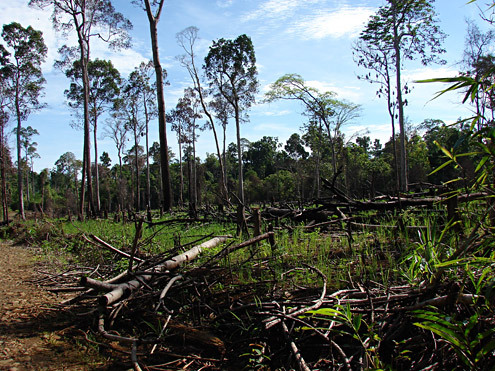 Allowing natural regeneration of native forest is often the best use for former commercial logging areas.